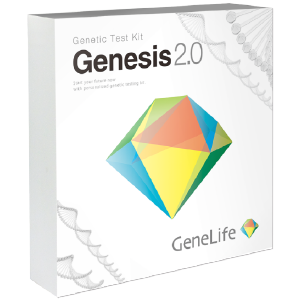 From potential disease risks and lifestyle related conditions, abilities, physical traits and much more, Genesis 2.0 is our newest and most comprehensive test kit, designed to analyze your DNA for more than 360 test items. 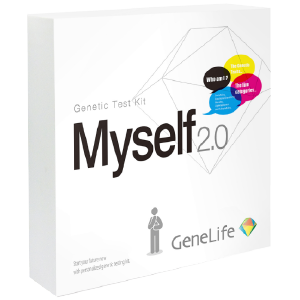 A unique approach to understanding your personality and abilities, combining genetic testing and psychological research, Myself 2.0 is designed to help you identify and explore the personality and character traits and make you, YOU. Find out what your DNA reveals about your metabolism, genetic diet type and learn invaluable tips to improve your nutrition and diet, all personalized to your unique genetic makeup. With the Genelife SKIN genetic testing kit, find out what your DNA reveals about your skin's traits and learn how to take better care of your skin. Detect the risk of lifestyle-related diseases such as high blood pressure and other ailments that can increase the risk of heart conditions. 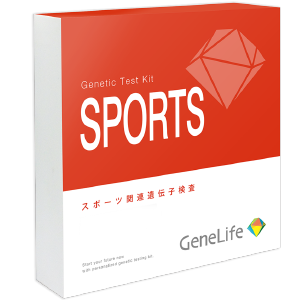 Identify your muscle type to discover the type of sports that suits you best and receive tips to optimise your workout routine and nutritional intake.